What is Major Medical insurance? Our Major Medical Insurance plan is a long-term health insurance option that provides comprehensive coverage for international students, travelers, OPT and dependents. The plan comes in 5 levels – Bronze, Silver, Gold, Gold Plus and Platinum levels. Each level provides varying coverage amounts to meet your individual needs. The plan is medically underwritten and annually renewable, with monthly, quarterly, semi-annual and annual payment options. Even though the Major Medical plan provides excellent coverage, this plan may not necessarily be for everyone. This is an annual plan in order to provide long-term coverage. If you need coverage for less than a year, we have other great plan options that you may learn about. The Major Medical plan is a great choice for those who are planning to start a family because maternity is covered on the Platinum level. Also, if you require more comprehensive coverage due to a pre-existing condition, our recent updates have made this plan an excellent option while you are traveling or studying abroad. The updates only apply to those purchase the policy after January 1, 2018. For policies that existed prior to this date, these changes will not apply. Medically underwritten means that the application requires you to answer a series of questions about your medical history. Underwriting will review your application once it is complete. You will receive a decision as to whether to accept the application as-is, or with modifications, or deny it entirely within 3-7 business days. If your plan begins in 2018, the Major Medical plan will begin implementing automatic renewals. This is a convenient way to allow you to maintain continuous coverage while you are abroad. You will also receive a confirmation email 45 days in advance prior to your re-enrollment. There is now a 9% annual renewal increase that is no longer based on age or length of coverage. To view more commonly asked questions, be sure to take a look at our FAQ pages! Our International Major Medical Insurance plan provides great comprehensive coverage. The Major Medical plan can certainly be a bit complicated to understand. However, we are always happy to assist with any concerns you may have. If you have any questions regarding this plan and the different coverage options, please do not hesitate to contact us for more information. Good news! Our Student Secure and Patriot Travel plans have also been updated for 2018, and now the plans offer even more coverage than before! Beginning on May 1st, 2018, the Student Secure plan offers more comprehensive coverage at better rates. 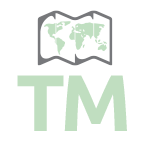 The Student Secure plan provides international student health insurance to both international and study abroad students who are studying outside of their home country either in the USA or around the world. This comprehensive student health insurance plan offers coverage on a monthly basis that will meet and exceed nearly all school and government requirements, and is perfect for students on a J1 and F1 visa or OPT. For a full list of the newly updated benefits of the Student Secure plan, please visit our benefits section. Beginning on May 2nd, 2018, the Patriot Travel plan also offers more comprehensive coverage at better rates. The Patriot Travel Medical plan is a great option for individuals who are traveling abroad and is designed to provide coverage for illnesses and injuries that happen while traveling. The plan also includes travel benefits such as Emergency Evacuation, Repatriation of Remains, Lost Luggage, Trip Interruption and more. For a full list of the newly updated benefits of the Patriot Travel plan, please visit our benefits section. If you have any questions about either plan, please do not hesitate to contact our team. In collaboration with International Medical Group (IMG), International Student Insurance is pleased to announce an exclusive and brand-new K-12 group health insurance plan! This comprehensive policy is specifically designed to provide inbound coverage for international students, specifically at the elementary and high school age. The K-12 plan is available in two levels – Standard and Platinum – allowing institutions to select appropriate coverage for their students. Partnering with International Student Insurance also means that you will continue to have access to our free resources and the assistance of dedicated representatives to meet the needs of your international students. If you are unsure about a group option or if you only have a couple of international students that require health coverage, we also offer individual plans at the K-12 level. As always, please do not hesitate to contact us for a group or individual quote! While it’s ultimately your choice to purchase a dental insurance plan, this blog will outline the cost of treatment without coverage and the most popular types of dental plans to help you make the best decision. In preparing to become an international student, it’s likely you’ve been warned about how expensive medical treatment can be in the United States, but did you know that dental treatment is also very expensive? In addition to being pricy, dental insurance and health insurance policies are completely separate plans. What this means is that your student health insurance plan can cover doctor visits and potential hospitalizations, but more than likely won’t cover your bills if you were to chip a tooth, get a cavity, or need a root canal. It’s a natural feeling to assume you won’t need to visit a dentist while outside of your home country, but the reality is that insurance is generally used in unexpected situations and ‘worse case scenarios.’ It’s rarely bought when someone knows they’ll use it. To add a bit of perspective, the bullets below indicate average costs of dental treatment without insurance according to DentalPlans.com. *Pro Tip: These prices are meant to be guidelines. 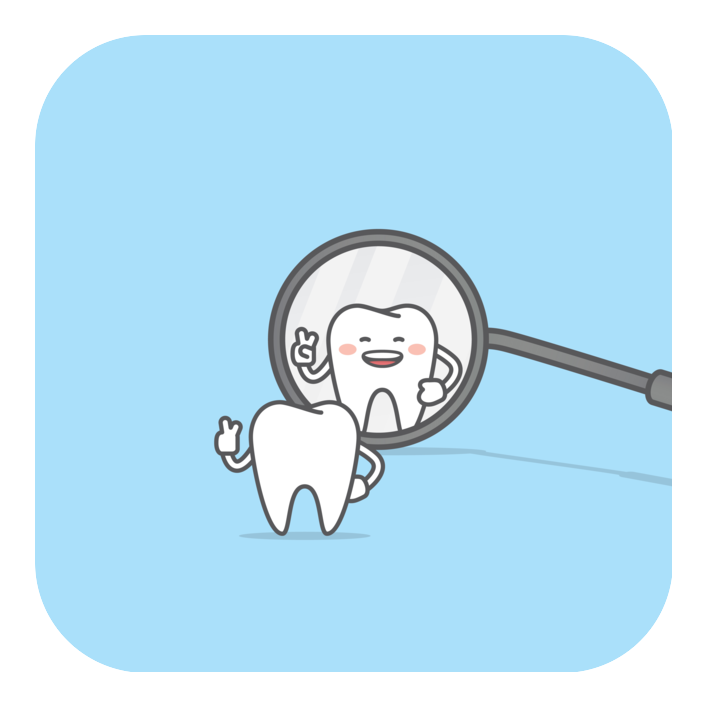 The cost of procedures will vary by location and the specific dentist visited. This means your visit could ultimately be more affordable or more expensive. While you’re still trying to decide if dental insurance is a good investment, it’s important to understand how this type of coverage works in the United States and what your options are. This is especially true if you’ll be personally responsible for paying for your dental treatment. Don’t worry – you have two viable options! Traditional dental insurance plans will likely cost about $50 per month but will vary depending on the company offering the plan and the coverage it includes. In most cases, dental insurance plans will provide a certain dollar amount of coverage for specific services and any amount over this will need to be paid out of pocket. It’s important to keep in mind that insurance policies will always have exclusions (meaning things that won’t be covered by the plan), so pick up the phone and speak to someone if you need help. This will help ensure your questions are answered and the plan will ultimately cover the bills you’re expecting it to. Commonly referred to as dental savings plans, these types of plans require you to pay an annual fee (about $150 a year or so) and then in turn, you receive about 10% – 60% discount on specific dental care at select dentists. One additional benefit with discount dental plans is that you’re able to purchase them in the event you need something specific done, such as a tooth extraction. This can come in handy if you decide against a dental insurance plan but ultimately need some kind of coverage later on. *Pro Tip: As with any insurance product, shopping around for the best rate and coverage may be time consuming, but will likely result in significant cost savings over time. Trust us, it’s worth the effort. Think of dental insurance like the umbrella – you may not expect to need it on any given day, but it sure does come in handy from time to time. As with most things in life, the answer to the question ‘Do international students need dental insurance?’ isn’t black and white. 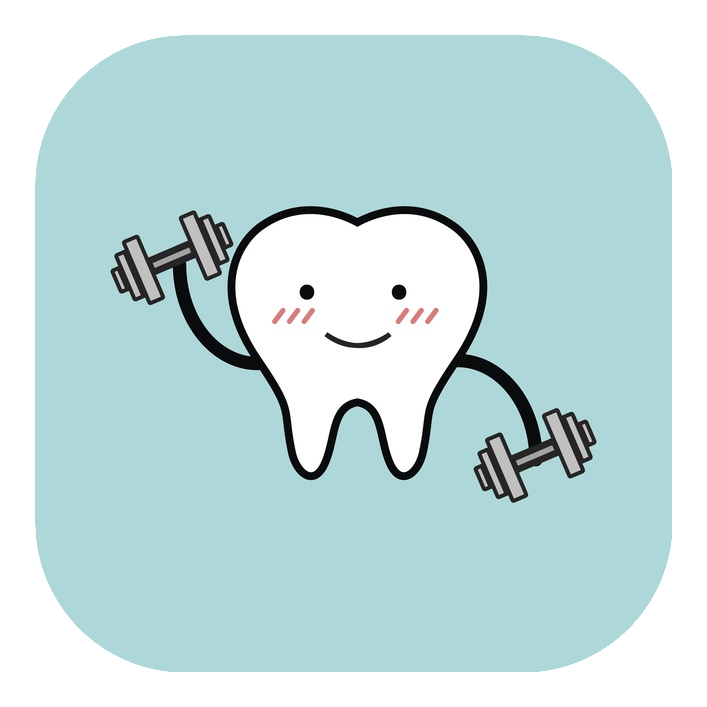 On one hand it’s possible that you buy dental insurance and never use it, but on the other you could end up using it several times (and each time thank your lucky stars). What we can be sure of, is that dental visits in the US don’t come cheap and it’s always good to hope for the best but prepare for the worst! Want to learn more? Check out various Dental Discount Plans! Many students worldwide have considered studying in the United States as it houses some of the worlds most prestigious universities and colleges. When traveling to the US, it’s important to have health insurance as healthcare can be very expensive. 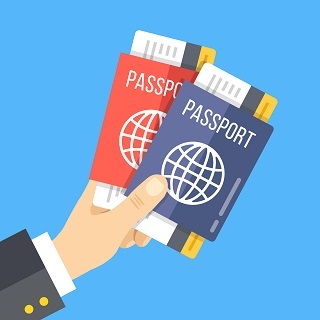 If you are one of the many people that enjoys having dual citizenship (US citizenship and citizenship from another country) for the purpose of insurance, the United States citizenship will take precedence within the country. While you can enjoy the benefits of paying citizen tuition rates and not go through the process of obtaining a student visa, you are required to fulfill the responsibilities of a US citizen. So even if you’ve never been to the US, having US citizenship will automatically change the way you qualify and obtain a health insurance. In 2010, former President Barack Obama signed into law the Patient Protection and Affordable Care Act. 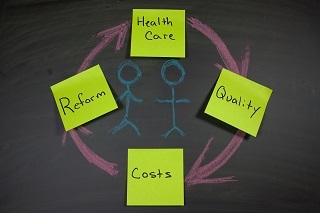 This healthcare reform law, known as ACA or Obamacare, is a very complex set of regulations. It requires all US citizens to maintain health insurance that meets the ACA standards or pay a fee when they file taxes if they fail to maintain coverage. Most international students are exempt from the ACA mandate for the first 5 calendar years that they are in the United States. However, a student with dual citizenship in the US will not be considered an international student. This means that as a US citizen, you will be held to the same standards as any other citizen in the country. ACA compliant plans are designed to give you coverage for a wide range of conditions. Generally, they will cover pre-existing conditions, maternity, and wellness or routine care to name a few. However, with the extensive coverage it offers, the cost of these plans can be steep. The best way to start your search for an ACA plan is using the government managed website Healthcare.gov. Best known as “the Marketplace,” the federal government created this online portal to list insurance providers and the plans that meet the requirements of the healthcare reform. The marketplace plans are separated into four categories: Bronze, Silver, Gold and Platinum. Each category based on the percentage the plan pays toward your medical expenses. As a US citizen, you will have access to government programs and assistance. If you prefer to speak to an insurance agent, the Marketplace offers a list of agents and brokers. They will be able to assist you with choosing a plan that is right for you. Additionally, you can reach out to an insurance company directly and they will also be able to help you get an ACA compliant plan. Also known as “gap insurance,” short term plans are designed to give you coverage until you can find appropriate coverage. They will generally cover inpatient and outpatient services and be more affordable than ACA compliant plans. However, these plans are only designed to give you temporary coverage. Most states in the US only allow short term plans to cover US citizens. Generally, the short term plans are only available for 3 months at a time. Some states only allow you to repurchase the plan twice in a calendar year. Note: Short term insurance plans are not ACA compliant. You will be subject to a tax penalty even if you are insured the entire year with multiple short term plans. One of the great advantages of already being a US citizen is that you are legally able to work in the US without going through the trouble of applying for a work permit. 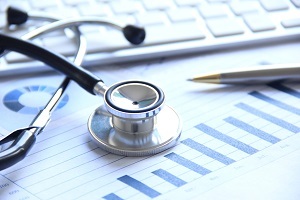 Many employers in the US offer health insurance for their full-time or equivalent employees. If you are able to secure a full-time job and go to school, make sure you ask about your health insurance benefits. Employers are not required to offer health insurance, however, the penalties for this are very costly. Many of them offer ACA compliant plans and share the cost of insurance with their employees. With the recent 2018 updates to all of our insurance plans, our Patriot Travel plan – Standard level only will now offer coverage for US citizens inside the United States as long as they have lived outside of the United States for the last 6 consecutive months and they purchase the plan before the travel to the US. However, this plan is not an ACA compliant plan and thus, you will have to pay for the tax penalty on your taxes. While living in the US as a US citizen, you are required to file a tax return with the IRS (Internal Revenue Service) every year. Even though it’s never a good idea to be uninsured in the US, you can choose to pay the ACA tax penalty. This fine is 2.5% of your yearly household income or $695 USD per person – whichever one is higher. However, as the new US administration frantically tries to come up with a better solution for healthcare, much talk of a repeal of the ACA mandate is in the works. As of now, for the tax years 2016, 2017, and 2018, anyone without proper health insurance coverage will be subject to the tax penalty. Beginning with 2019 tax returns filed in 2020, the latest tax reform has eliminated the ACA tax penalty. Despite the cloudy future of the Affordable Care Act and the mixed signals from the current administration for a better alternative, it’s imperative to be prepared and insured when you come to study in the United States. A car accident or a severe illness could bury you in thousands of dollars in debt. There are many advantages for having dual citizenship. You will be able to travel between both countries easily, have access to two social service systems, vote and work in both countries. However, there are drawbacks as you will also have dual obligations and possibly double taxation. When it comes to choosing a health insurance plan, you will need to follow certain guidelines required to all US citizens. For many students, going away to college will be the first time you are away from the familiarity of being with your family and friends. While this can be a very exciting time, moving your entire life to a new city, state, or even a new country can be a nerve-wracking experience. To cope with this new-found freedom, some students may turn to experimenting with drug use or binge drinking. According to the National Institute on Drug Abuse, those who are enrolled in a full-time college program are twice as likely to abuse drugs and alcohol than those who don’t attend college. For international students, there are many additional factors that may lead to drug and alcohol abuse. Due to cultural differences, you may not fully understand the extenuating circumstances that can lead to substance abuse and the consequences that could result. It is important to educate yourself on drug and alcohol awareness and what programs and resources are available to you while attending college in the United States. Why do International Students Experiment with Drugs and Alcohol? As an international student, this is most likely your first time away from home. You may feel nervous about being on your own in a new place, overwhelmed with new challenges and responsibilities, and a strong need to fit in with your community. These are all feelings that could cause you to turn towards experimenting with drugs and alcohol for the first time. Lifestyle Changes. For many international students, being away from home for the first time can be intimidating. Cultural differences, language barriers, and the distance between family and friends can be daunting. Dealing with culture shock, home sickness, and anxiety can lead to the use of alcohol and drugs. Stress. Managing the high-demands of coursework, extracurricular activities, finances and social obligations can be hard to juggle for any student. As an international student, you must also keep in mind your immigration status, which may cause additional stress. To maintain an active visa status, international students much attend and pass all classes and be enrolled in a full course load. Attending and passing all classes and being enrolled in a full course load is important to maintain an active visa status. This factor may lead to the abuse of stimulant-based drugs to help stay awake and study, or alcohol abuse to mask the feeling of stress. Peer pressure. Fitting in is a common influence that can lead students to experiment with drugs and alcohol in college. Typically, international students come to the United States not knowing anyone, so it is very likely that you may experiment with things you may not normally feel comfortable with in order to make friends and feel accepted. 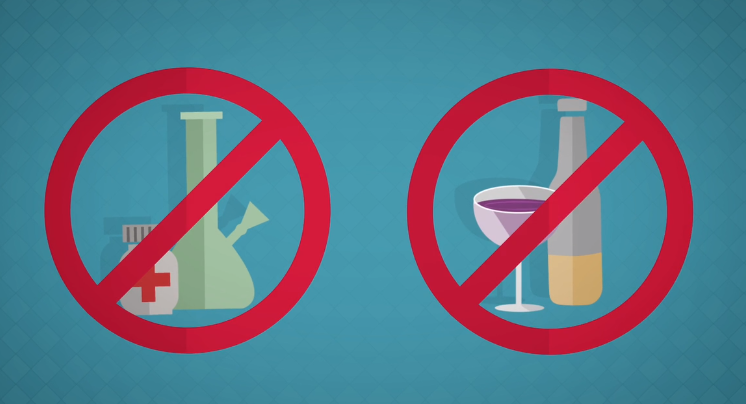 What are the Consequences of Experimenting with Drugs and Alcohol? Alcohol and drug use can impair one’s judgment leading to poor decision making and unsafe circumstances. Legal trouble, sexual assault, and accidental injuries are some of the common issues seen on college campuses that result from excessive drinking and drug use. Being under the influence impairs your ability to give consent to sexual activity. Over half of the reported sexual assaults on college campuses involved alcohol or drug use. It is important to know your limits, watch your drink, and stay with your friends to protect yourself from a potentially dangerous situation. Each year, nearly 500,000 college students between the ages of 18 and 24 have been unintentionally injured due to alcohol and drugs use. Of these injuries, about 1,400 have resulted in death. Alcohol poisoning, falling from balconies or open windows, and motor vehicle crashes are among the most common ways that students are injured while under the influence. Many colleges and universities in the United States have implemented programs on campus to educate their students about the harms of drug and alcohol abuse. These programs are typically included during orientation and attendance is required by all new students. During these programs, your school may address the health risks associated with misusing drugs and alcohol, as well as school standards and disciplinary actions that may be enforced. Your school will also provide you with information for where you can go if you feel you may have a problem with substance dependency or abuse. On-campus counseling centers are usually a great place to start if you feel like you need help. Some schools may also have clubs that you can join that focus on recreational activities that don’t involve alcohol or drug consumption. Besides the programs that are offered by colleges and universities, there are many additional resources available outside of your campus, where you may feel more comfortable seeking treatment. Many people would agree that medical information should be confidential, and in the US, there are laws that govern what information can be given out to third parties. 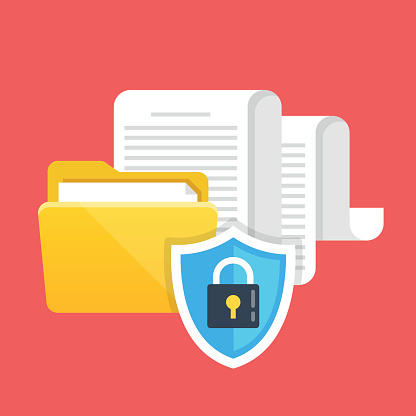 This law, called HIPAA (or Health Insurance Portability and Accountability Act), protects the “privacy and security of certain health information.” If you have ever had medical treatment covered by an insurance plan or if you’ve tried to get access to someone else’s medical information, you’ve probably heard about HIPAA. While this law is quite extensive, it’s important that international students recognize that it protects what information is given out by a doctor, hospital, or clinic, including how the information is transmitted and to whom it is given. Many international students who seek medical attention in the US should know that the information they give to their healthcare provider is protected. No family member, friend, or school administrator has access to your medical records – even if you go to the student health center or counseling center. This means that they cannot call up your doctor to find out what happened. And the protection doesn’t stop there. Even the insurance company is bound to keep your information private, which means that they too are not allowed to divulge your medical information. Because the penalty is so high for a breach in confidentiality, many providers are very strict in it’s enforcement. Great news for those of you who want to make sure your medical information stays private, but not so easy if you need help getting a claim processed. Consider these scenarios. 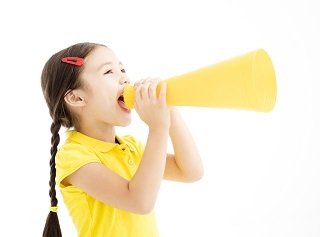 You are over the age of 18 and your mother called to follow-up on a pending claim. She was told that she could not get any personal information, and that you would need to call to get an update. Your international student advisor was kind enough to help you through the claim process, but was unable to get your medical records to submit to the insurance company. Your advisor contacts you and says that you must call directly. Your claim was processed, but was denied and not paid to your doctor. Your school advisor calls the insurance company to find out why it was denied, but they are told that you will need to call. All of these are examples of how HIPAA may affect the way that your claim is processed, and what others can do on your behalf. There is a light at the end of the tunnel, though, where you can overcome these roadblocks by taking a few extra minutes and getting release forms signed. So how does someone overcome the challenges of getting their medical information to the people or organizations that need it? Medical release or authorization forms! You have the ability to give permission to companies and individuals allowing them access to your personal information by completing a medical release or authorization form from your insurance company or directly at the provider’s office. Because these confidentiality rules apply to every healthcare provider, though, every doctor, hospital, and clinic – and even the insurance company – will need your authorization to give out your information to anyone but you! Oftentimes, providers give you these forms right when you arrive for your appointment. Make sure to read the wording thoroughly, and ask questions as needed. Many forms often give the doctor, clinic or hospital authorization to release your information to the insurance company. This form may also allow you to name additional people you’d like to grant access to as well. Tip: Be sure to list all individuals on this form to avoid having to add people later. This not only includes your insurance company, but may also include relatives or a school administrator who may be able to help you through the process. If you do not list them at the time of visit, you will need to call your provider’s office to see what the process is to add someone to the list of authorized individuals, otherwise you might have to request this information yourself. If you do not fill out an authorization form, you may have to go directly to the provider to request your medical records in order to file a claim with your insurance company. You may also want to check with your insurance company to see if they have a medical release form. In some cases, the insurance company can send this to the provider so that they can get the medical information directly from the provider. Note: Not every provider will accept the medical release form from the insurance company, so you may be required to fill out two: one from the insurance company and another from your provider. The medical release form is also important if you want help filing a claim. If you are over 18 years old, your parent can’t get the status of your claim without this form. If you want to give them access, fill out the authorization form and send it back to the insurance company. Be sure to name all those people you would like to give access to, including a parent, school administrator, or even your insurance agent. While privacy laws vary country by country, it’s very important that international students understand why these laws are in place, and what you need to do to prevent any delays with your claims. If you have questions about a claim, the best thing to do is look at your insurance card, find the contact information and be sure to ask all of your questions. While it may seem like busy work, the intent is to make sure you and your information are protected. Sexual assault is a sensitive subject and can be difficult to explain and discuss, even in a safe space. Varying cultural perspectives may also prove to be challenging when engaging in an open and educational discussion around the topic. However, understanding the laws pertaining to sexual assault in the U.S. should be discussed with international students in order to prevent an incident and help students should one occur. One way to begin educating students, is by addressing the different perceptions and myths surrounding sexual assault. 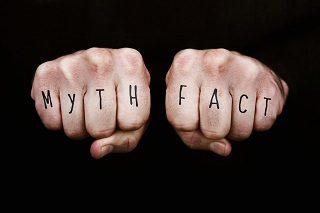 It is important to understand that myths are just that-myths. It is even more important to address common myths surrounding sexual assault in order to combat any misconceptions surrounding sexual assault. The idea that victims are the cause for an incident of sexual assault or harassment because of how they are dressed, how they are acting, or how much they are drinking is not true. Nobody anticipates or wants to be a victim of an attack, and they should not be required to change how they dress or act to avoid getting assaulted. Sexual assault is often about the attacker having a sense of control over their victims and is not the fault of the victim due to their behavior. The statement that men are never victims of sexual assault is simply not true. While the majority of attacks are against females, one out of sixteen men are also sexually assaulted in college. Overall, one in ten men are survivors of sexual assault. In addition,according to the National Intimate Partner and Sexual Violence Survey, 26% of gay men and 37% of bisexual men encounter incidents of sexual assault. These statistics prove that sexual assault can happen to anyone and does not discriminate based on race, culture or gender. Consent is defined in the U.S. as sexual activity that is agreed upon by all parties before something happens. Consent can and should be both physical and verbal. Anyone has the right to withdraw consent at anytime during a sexual activity. This is also true of married couples and individuals in a relationship. RAINN reports that 25% of violent incidents are committed by a current or former spouse, boyfriend or girlfriend. Even if you are married or in a relationship, that does not entitle someone else to your body. This statement is also false. In fact, seven out of ten incidents of sexual assault are committed by someone the survivor knows. This means that less than 30% are by a stranger. Additionally, this is also true on college campuses with students who are married, in a relationship, in class or is somehow acquainted with their attacker. An incident on one’s campus and committed by someone the survivor knows may be especially traumatic and distracting to studies. It is important to know that the school is available and ready to take care of both the survivor and the attacker if an incident does occur. Also wrong. Alcohol does not cause sexual assault, nor does it provide an excuse should an incident occur. However, alcohol can impair one’s judgment, which is why they are often associated with incidents on college campuses. An estimated one half of these incidents occur when alcohol is consumed by the perpetrator, survivor or both, according to the National Institute on Alcohol Abuse and Alcoholism. Additionally, most experts would say that the excessive consumption of alcohol negates the ability to give consent. It is important to know that there are steps that you can take to protect yourself and your friends when drinking. For example, it is important to always be aware of your surroundings, keep an eye on your drink and know your limits. It is estimated that only 20% of female students report an attack and 42% of women do not tell anyone if they are assaulted. There are many reasons that students do not report an incident of sexual assault. However, international students may be concerned about filing a report because they are worried about the impact it may have on their immigration status. While international students should maintain a full course load, there are considerations if you receive approval through your Principal School Designated Official (PDSO). However, medical reasons only provide 12 months of academic relief. 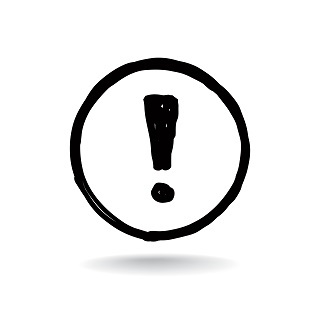 It is important to note that you are not required to disclose any information to receive approval on the grounds of academic or medical reasons. As such, you are not required to tell your PDSO about an assault. If you do, though, your PDSO is required to report it to the proper authorities. Sexual assault is difficult to talk about, but it is vital to be aware of the myths and facts around the topic. Keep in mind that your school is there to help you understand the facts and laws around sexual assault in the U.S. If an incident does occur, it is important to seek help and understand that it is never the fault of the survivor. *These statistics are provided by RAINN. For more information, you may visit their website at: https://www.rainn.org/. Can you believe that it’s time to announce this year’s Travel Video Contest winners already? 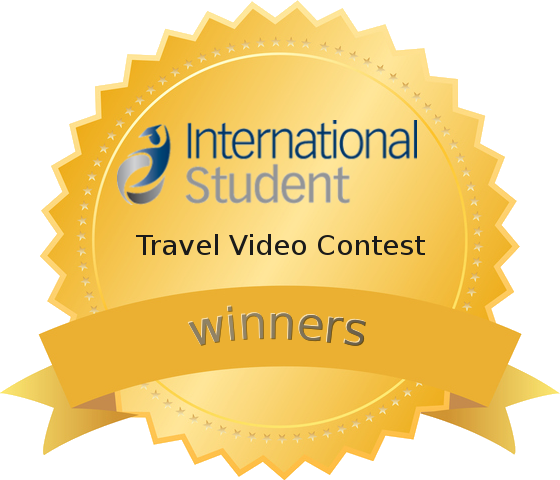 Over 100 international students from all over the world spent countless hours this year creating quality video submissions for the InternationalStudent.com contest – all with the hopes of taking home the prized title of grand prize winner. Unfortunately, only one video each year can take home the $4,000 prize, but that doesn’t make the other video submissions any less great! Don’t forget to take a look at all of the eligible video submissions. And now, the moment you’ve been waiting for! The grand prize winner and recipient of the $4,000 cash prize is Dini Restyanti for her animated submission, “Finding My Ikigai.” On top of the title of contest winner and accompanying prize money, Dini is also encouraged to document her travels over the next year through an online blog on InternationalStudent.com. The winner of the second place title and $500 prize is Laura Catalina Rey. Her video “Drawing my Trip” was drawn completely on a dry erase board! The Viewers’ Choice winner is Juan Sebastian Bayona Carrillo for his comical submission, “Making the US My New Home. In addition to receiving the most online votes, Juan is also the recipient of a $1,000 prize! Click here to watch these award-winning videos! A huge round of applause is deserved for the winners of this year’s contest! If you are interested in entering the contest next year, start reading up on the rules and regulations and watch as many videos of the past winners as you can. This will give you some great insight on what it takes to bring home the grand prize and who knows, maybe next year you’ll see your name on the winner’s page!